Centerfolds clothesline. Who's drying their clothes on the roof of the Centerfolds Club? Chocolatier Magazine, Food and Wine and others agree. 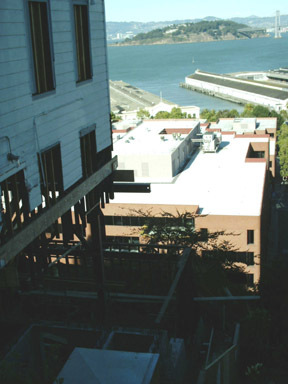 Remodel at the end of Union Street, before the street drops off the eastern edge of Telegraph Hill. The owners are raising the existing house amd adding two floors, including a garage (access from Alta) below. 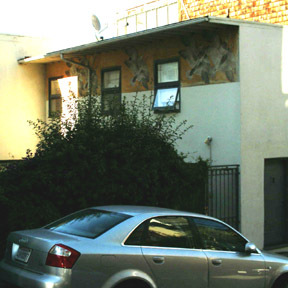 The Duck House on Alta was home to Armistead Maupin when he was penning Tales of the City. I was sorely tempted to buy the building for its literary and historical connections alone, but I came to my senses. 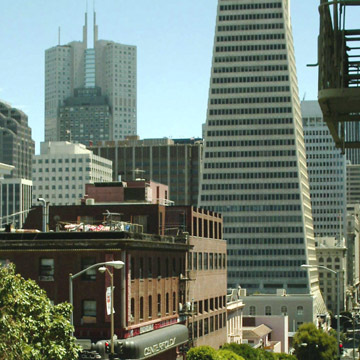 Coit Tower viewed from lower Montgomery, on way to Filbert Steps. The Filbert Steps, heading down from lower Montgomery. Steep! 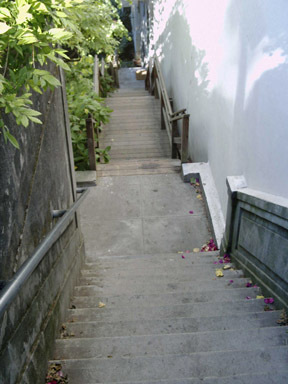 From Coit Tower down to Sansome, at the bottom of Telegraph Hill, the east side of the hill is too steep for streets and cars, so both Filbert Street and Greenwich Street become a series of stairways. 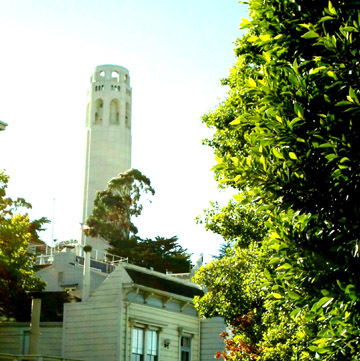 The steps are a tourist's delight and a means of access for people living in the houses on the east side of Telegraph Hill. Darrell street sign. 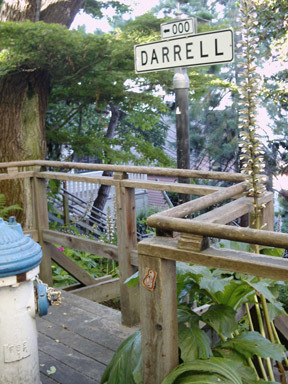 Darrell Place and Napier Lane are walking paths that split off to the north from the Filbert Steps. The neighborhood is quiet -- no street noise. Residents have strong leg muscles -- no streets. Everything needs to be walked in: pizza, pablum and pianos. 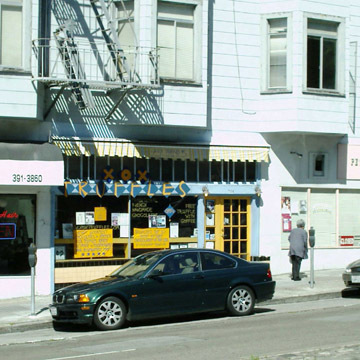 The nearest street access is Montgomery Street (to the west) or Sansome Street (to the east). No matter which end of the stairway you choose, you must first find parking (or take public transit/taxi/train as close as you can) and then hike in. Filbert Steps patch. We first noticed this patch to a rotting board a couple weeks ago. 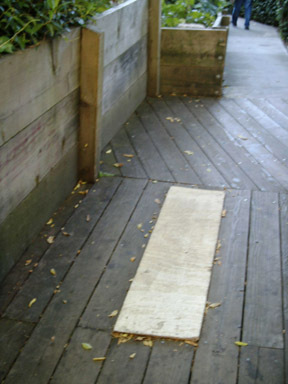 Since then, someone nailed the patch board to the rest of the boardwalk. When will the City get around to mending the rotty spot?